Recently I was considering success and confidence, and I began to wonder; – is this a chicken-or-egg conundrum? Which comes first, success or confidence? Do you need to be successful to be confident? Or – do you need to be confident to be successful? The famous Roller Marathon de Dijon is already a stage of the Coupe de France (french circuit) and also one of the World Inline Cup. And as the organizer wanted to offer Masters (age over 35) a new challenge and profit the benefit of international aspect of the event it has been decided to postulate for becoming world championships this year. So with the helpful of the french federation of rollerskating (FFRS), FIRS and CIC have given agreement to Dijon. We have pleasure in communicating you that Italy will organise the “GRAN PRIX INTERNAZIONALI D’ITALIA” of Roller Speed Skating. This event is a circuit of 4 International Trophies on track and on the road. Typology of races and sports venues are detailed in corresponding specific rules of each Trophy. If you are interested in participating please contact us ( internazionale@fihp.org and corsa@fihp.org). Like every year, back from SportAccord, I am writing to update you on important changes, that the world of international sport is living. In the same direction are the many meetings that have characterized our efforts in London and that have been stretched, from an institutional perspective, to keep Roller Sports in the leading international sport events. A certainly interesting meeting concerned the SportAccord World Artistic Games. The first event will take place at the end of 2012 and will involve about 800 athletes in five days of sports with musical entertainment, with the participation of seven sports: Figure Roller Skating, Artistic Cycling, Indoor Musical Aeronautics, Dancing, Gymnastics (including gymnastics for children), Synchronised Swimming and Diving. 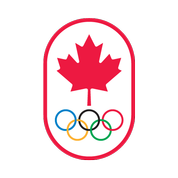 There will be World Games in Cali 2013 and Pan American Games in Toronto 2015 with Roller Sports participation in these two world-class sporting events. Finally we have started a series of contacts for the promotion and the spread of Roller Sports, that will surely reach results in an intense work season. We met representatives of cities and countries interested in hosting high-level events of Roller Sports, able to attract a large and varied audience. We have also made contact with distribution agencies, that have shown a great interest in the possibility of transmitting images of roller sports by their partner. During the elective assembly of SportAccord Mr. Verbruggen was confirmed as President; gave compliments for the work done so far and we have assured our support for his future work. I take this opportunity to send to you all a warm sport hug. Here are three documents containing rules, constitution, and anti-doping rules for The World Games. The Coupe VRL #3 will take place on April 30th at the Recreatheque in Laval, just North of Montreal. Registration: Fees are $20 for adults and $10 for children. Entry fees go up by $5 after April 20th. Please e-mail ecolodia@gmail.com to register.